“La La Land”, a whimsical ode to Hollywood musicals of the past, tied the record set by “Titanic” and “All About Eve” by bagging 14 nods at the 89th Academy Awards nominations announced on Tuesday. 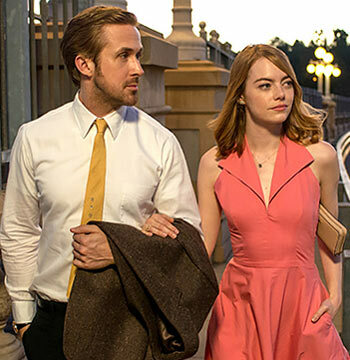 The candy-coloured love story earned nods for best picture, best director for 32-year old Damien Chazelle and best actress and actor nods for its lead stars, Emma Stone and Ryan Gosling at the nominations. The Academy, which faced a lot of criticism for its lack of diversity for last two years, addressed the topic by nominating actors like Denzel Washington, Octavia Spencer, Viola Davis, Ruth Negga, Mahershala Ali, British-Indian Dev Patel, Naomie Harris and films like “Hidden Figures” and “Fences” and “13th”. “La La Land”, about two dreamers trying to make it big in the city as they fall in love, will face competition at the Academy awards next month from sci-fi drama “Arrival” and “Moonlight”, with both landing a total of eight nominations. Actor-director Mel Gibson, who was made an outcast for his anti-Semitic rants in the past, signalled his comeback to Hollywood with war drama “Hacksaw Ridge”. The film surprised award pundits by scoring six nods, including the best picture, director and best actor for Andrew Garfield. “Hacksaw Ridge” tied in the third place of the nominations list with “Lion”, a true story about a man searching for his lost family in India, and Kenneth Lonergan’s tragic drama “Manchester by the Sea”, starring Casey Affleck. Lonergan is nominated for best original screenplay and for his direction with Casey bagging a nod in the best actor category. Michelle Williams was nominated in the best supporting actress category. Casey, who stars in “Manchester by the Sea”, is a front-runner already after picking up a Golden Globe and a bunch of critics honours but previous best actor Oscar-winnerWashington and Gosling may upset his sprint with their powerful portrayals in “Fences” and “La La Land”. Garfield and Viggo Mortensen are the other nominees in the category. Meryl Streep, who created quite a stir with her politically-charged speech against President Donald Trump at the Golden Globe, broke her own record by bagging her 20th nomination, the most for any actor ever. She was nominated in the best actress category for her role of tone-deaf opera singer “Florence Foster Jenkins”. Her competition is French actress Isabelle Huppert for (“Elle”), Natalie Portman as the first lady (“Jackie”), Ruth Negga (“Loving”) and Stone (“La La Land”). Davis, who won the Golden Globe, is a likely front-runner in the best supporting actress category for her role in “Fences”. She will face competition from Nicole Kidman (“Lion”), Spencer (“Hidden Figures”), Michelle Williams in “Manchester by the Sea” and Naomie Harris in “Moonlight”. Golden Globe best supporting actor Aaron Taylor-Johnson did not feature in the nominations list but his “Nocturnal Animals” co-star Michael Shannon was a surprise entrant. Mahershala Ali (“Moonlight”), Jeff Bridges (“Hell or High Water”), Lucas Hedges in (“Manchester by the Sea”) and Patel in (“Lion”) are the other nominees. Best foreign language film nominations went to “Land of Mine” from Denmark, “A Man Called Ove” from Sweden, “The Salesman” from Iran, “Tanna” from Australia and German drama “Toni Erdmann”. “Kubo and the Two Strings”, “Moana”, “My Life as a Zucchini”, “The Red Turtle” and “Zootopia” feature in the best animated category. Like every year, there were a number of snubs, most notable being the absence of Amy Adams in the best actress list despite her moving role of a linguist in sci-fi drama “Arrival”. Hugh Grant, Tom Hanks, Martin Scorsese were other major snubs. Jimmy Kimmel will host this year’s ceremony on February 26. The Academy tried to make the nominations more interesting this year by inviting previous honourees to share anecdotes about their win as they announced the nominees. Marcia Gay Harden, Glenn Close, Brie Larson, and Ken Watanabe shared stories about what it felt to win or get nominated at Academy awards.